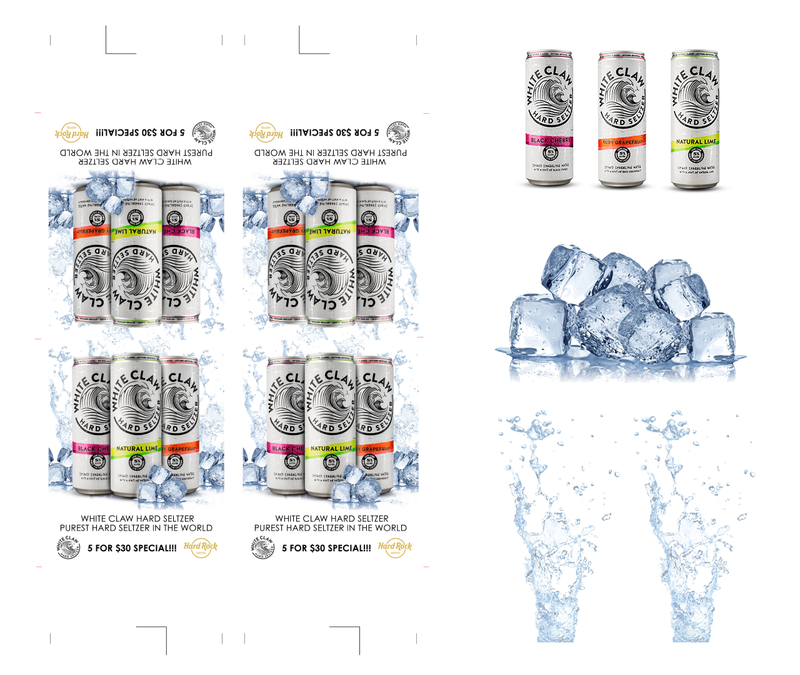 White Claw Hard Seltzer | Commit Marketing | A Full-Service Marketing, Web Design & Development Firm Located In Sarasota, FL. 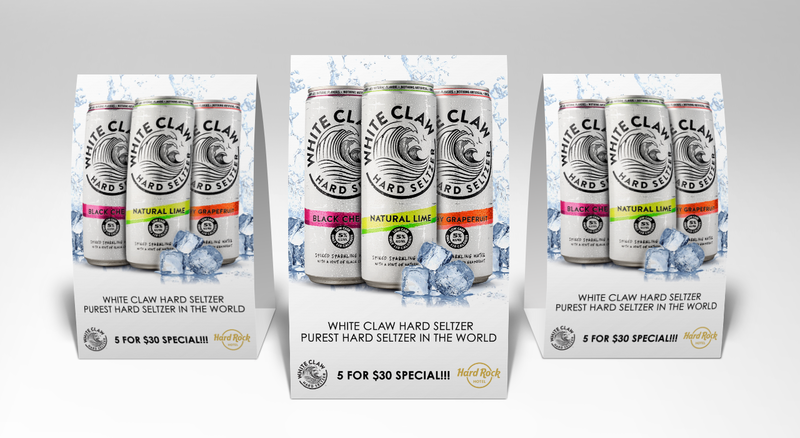 White Claw Hard Seltzer makes it possible for health-conscious drinkers to enjoy a convenient and refreshing alcoholic beverage they can feel good about. With upcoming events in the future, White Claw sales representatives collaborated with Commit to design and produce a unique table tent. The plan was to include Black Cherry, Natural Lime and Ruby Grapefruit along with a custom design that underlined the promotion at the Hard Rock Hotel & Casino in Tampa, Florida. The table tent was sized properly to display the message yet also allowing for an efficient way to get them produced. Once the message and design as approved, this table tent was designed to be easily printed anywhere on a standard, tabloid size sheet (2 Up). To ensure a quality end product, we included proper trim marks and folding guides.